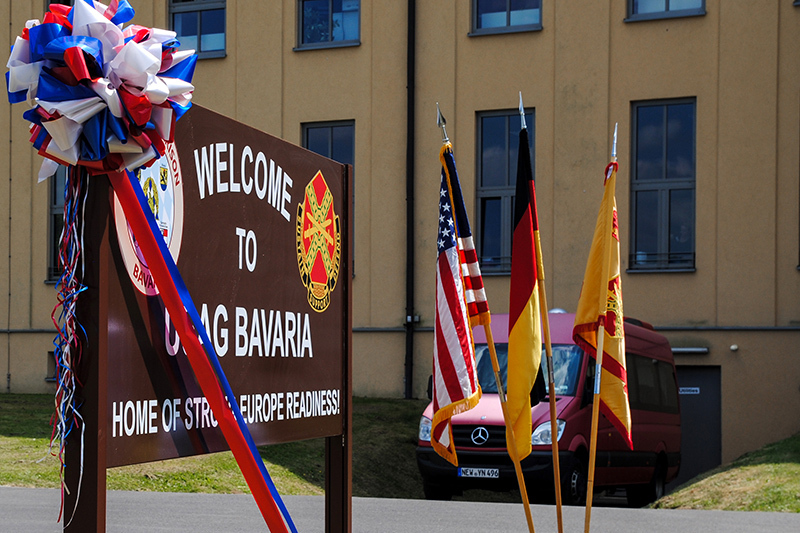 GRAFENWOEHR, Germany – United States Army Garrison Bavaria held a ceremony here June 6 marking the grand opening of its new Readiness Welcome Center. The center goes beyond the traditional Army model of having required inprocessing agencies under one roof and brings in other garrison partners and agencies like the USO; Child and Youth Services; and Family and Morale, Welfare and Recreation to give new Soldiers and their families a homey space to kick back and relax in. The trip here from the United States mainland can take a minimum 13 hours and often stretches to a couple of days, said USAG Bavaria Garrison Commander, Col. Lance Varney. After a trip of that length, Solders know they will have a lot to do in the coming weeks and want little more than to get themselves and their families settled in their new community. Varney said one of the garrison’s most important jobs is getting Soldiers and their families integrated into the community as quickly as possible so Soldiers are ready to concentrate on their duty and their unit’s mission. Inside the center, newcomers will find refreshments and a gaming system provided by the USO; several laptops and Wi-Fi; a station to charge their portable electronic devices; an area to store their luggage; a children’s play area; and a wealth of information about the services offered on the installation and items of interest in the surrounding German communities. Outside the center, newcomers will find a dog park to give the community’s newest four-legged members a chance to stretch their legs and answer the call of nature. A playground and gazebo are in the works and will be added in the coming months. The center is the first of its kind and serves as a model for all U.S. Army garrisons in Europe, said Installation Management Command-Europe Director, Michael D. Formica. The center serves a particularly important function as the U.S. Army in Europe transitions from a mission of assurance to one of deterrence, said Formica. What is critical is immediately building a ‘Ready to Fight’ mindset for Soldiers and their family members. For a peek inside the new center, check out this video by AFN Bavaria.